Thoughts from the brain of marissa pick, social media & b2b marketer based in NYC! 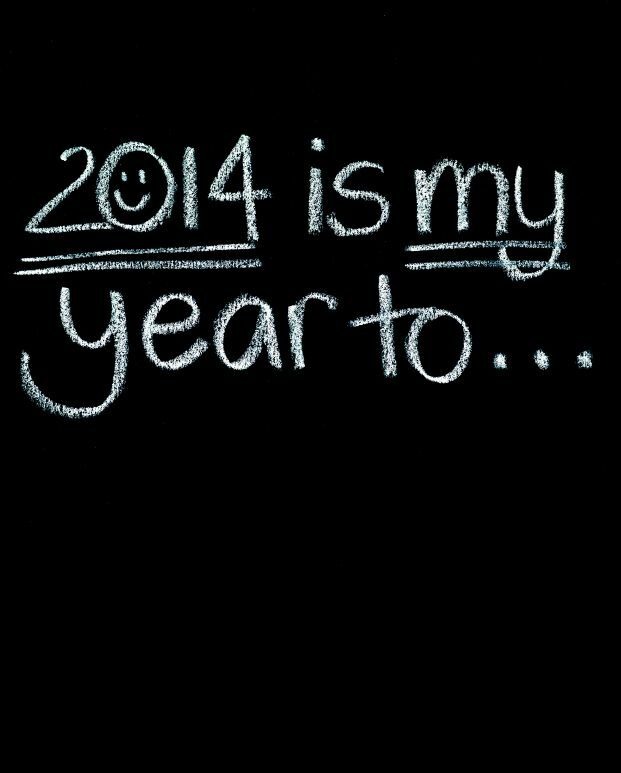 2014 New Year’s Resolutions, Reflections, and Objectives. Scott Adams, the creator of Dilbert wrote a great post for the Washington Post titled, “Read this if you want to be happy in 2014.” Within the article he outlined a very basic principle, Happiness = Health + Freedom. Scott reminds us that there’s’es a right time and a wrong time for almost every activity from sleep, paying bills, and more. It’s crucial to match your mood to your activity as a basic requirement to happiness, and equally important to remember that timing is controllable, especially in the long run. The article goes on to outline some of his goals and obstacles, and gives important insight into the power of your mind in making things happen. Forbes contributor Cheryl Conner wrote a fantastic post titled, “Mentally Strong People: The 13 Things They Avoid.” She included a list compiled by Amy Morin which was shared in LifeHack and reflected on her list including her thoughts on how the items were applicable to entrepreneurs. The 13 reflections touch power, change, success, and so much more with fantastic insights from Cheryl and Amy. I’ve done a lot of thinking and reflecting upon my 2014 New Year’s Resolutions. The two fantastic articles above from the Washington Post and Forbes helped me craft my below post and insight, I hope you enjoy! 1) Expand upon Scott’s reflections and work on finding a better life & work balance to focus & attain the formula: Happiness =Health + Freedom. We all struggle with finding a balance for everyday life, and we have to really prioritize and focus on what’s important, for me I know where I need to focus, and sometime unplug, so i will work to create more a life balance into 2014. 2) Become more adaptable to change: Cheryl nailed it within the Forbes article saying that mentally strong people embrace change and welcome the challenge. The biggest “fear” if they have one, is not of the unknown, but of becoming complacent and stagnant. I need to become more adaptable and take more chances and accept change to further succeed within my work and personal life. 3) Make mistakes & learn: In December, my company held a offsite meeting in London to cover 2013 reflections to help plan for 2014. One of my colleagues brought up an important point, in order to learn we need to make mistakes and reflect and learn from them. We can’t measure our successes without assessing our failures as well. 4) Dwell on the Past: We all know the saying forgive and forget, well easier said then done. There is a positive when acknowledging the past and learning from experiences, but we must focus on living in the moment and creating the present and future. 5) Embrace alone time: I’ve really cherished the day’s in 2013 I was able to work from home and enjoy the quiet, meeting-free days. I’ve learned to embrace the time I spend alone both within work and personal life. I’ve been able to reflect, plan, and be productive and I find my alone time to spark some of my most creative ideas.